It’s a running rumor that the current Minister of Power, Works and Housing who is the immediate past Governor of Lagos State, Mr Babatunde Fashola and his successor, Mr Akinwunmi Ambode do not knowingly see eye to eye except on matters of State. Secret Reporters can confirm that the rumor is true! If Lagos State operates an open government policy, insider sources revealed that the documents that should have been used in nailing Ambode before the Economic and Financial Crimes Commission (EFCC) during his days as the State Accountant General were ready for submission to stop his emergence as Governor, but the unwritten mafia rule of ‘dogs don’t eat dog’ was applied by the grandmaster. Our insider sources within the top political hierarchy of Lagos State revealed to us that contrary to public insinuation that Ambode resigned from Fashola’s government, to pursue his political ambition; he was actually sacked. According to the familiar sources within the Lagos State Government circle, Ambode without approval from Fashola allegedly paid the sum of N700 million to Bola Ahmed Tinubu, an act which infuriated the then governor. He immediately directed the Secretary to the State Government to issue a statement removing Ambode as the Accountant General. Tinubu we gathered learnt of the development and stopped the announcement. 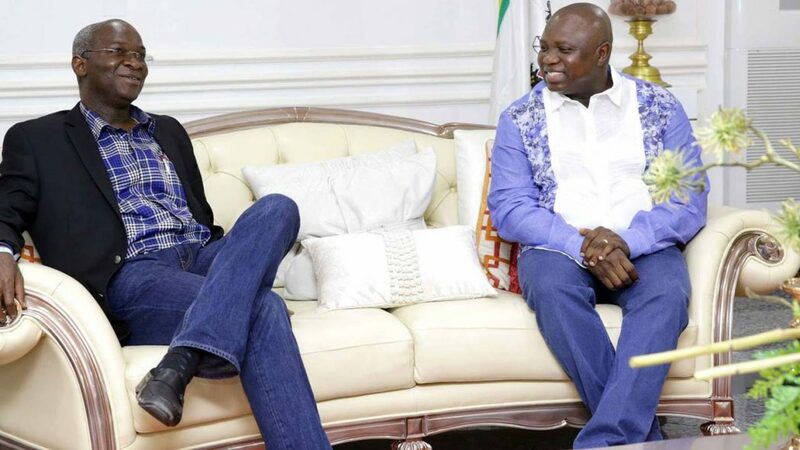 With Fashola unable to trust Ambode, he directed him to hand over his resignation letter which was accepted. When asked why the money was paid to Tinubu, one of the source stated that the money was part of the funds held back by Olusegun Obasanjo, when Tinubu was in power. “Tinubu believed the money belonged to him, since the money was held away during his administration and wasn’t part of Fashola”, one of the sources told us.